Welcome to our Squeaky Clean Carpet Brighton Company. We are locally owned and operated company that serves residential and commercial customers in Brighton and the surrounding areas. Does your dirty carpet in Brighton need a deep clean? Because the heavy-duty tools required to clean a carpet aren’t just lying around your home, Squeaky Clean Carpet Brighton cleaners come prepared with the equipment and eco-friendly products in order to give a new look to your old carpets. Seek help for your Brighton carpet cleaning needs and book Best Carpet Steam Cleaning Brighton to clean it for you. 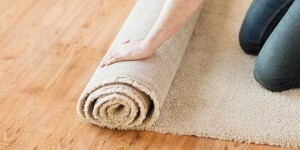 We will examine your carpet for any problem areas and pre-spray to get rid of the heavy stains from your dirty carpet. Next, we apply an eco-friendly cleaning solution and finish cleaning your carpet with our special Hot Water Extraction Method for the ultimate deep clean.